It was in 1947 that Jean-Francis Pécresse's family decided to invest in land in the Fronsac area. Already established near Saint-Emilion and in Pomerol (Grand Corbin, Trotanoy), this family of wine merchants from the Corrèze were very early to believe in the potential of the Canon-Fronsac appellation. 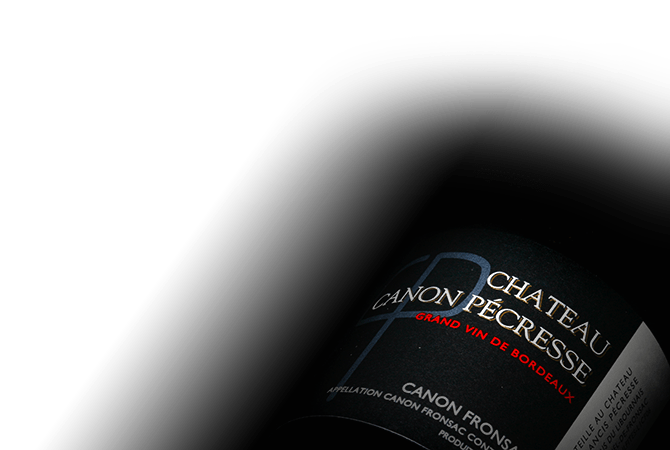 In 2003, Jean-Francis took over the reins of Canon Pécresse (4.5 hectares, located on the appellation's plateau), to draw from this terroir with great potential all that is quintessential from the plots that are looked after with the greatest care and with respect for the environment.